After three days of pool I ended up in third place. Not to bad, but still disappointed not to be in the final. 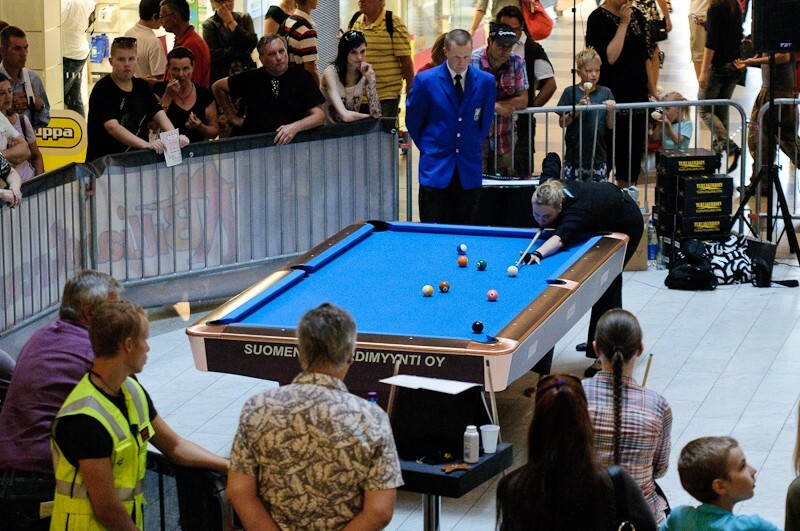 We had a strong field though, I am positively surprised over the standard of the players from Finland. We started thursday with round robin and I lost my first match against a local snooker player, Nita Viitala, with the score 4-6. After this I decided not to do anymore mistakes and I won the rest of the group matches. I Had Louise Furberg in my group and I won that match 6-4, a result I am happy with. She is one of the most stabile players in Europe with a lot of Europeans medals in her career. I ended up winning my group and was seedet 6 overall. Friday evening, after finishing the round robin, we started the single elimination for the last 16. 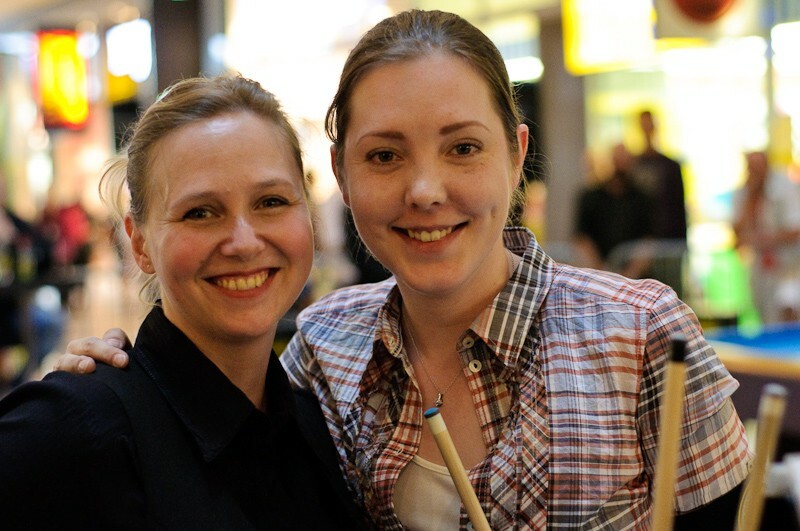 My opponent was Ann-Sofie Löfgren from Sweden, also a good player with many years experience. This was a difficult match, but I won 7-5 in the end. In the quarterfinals I met Louise Furberg again! 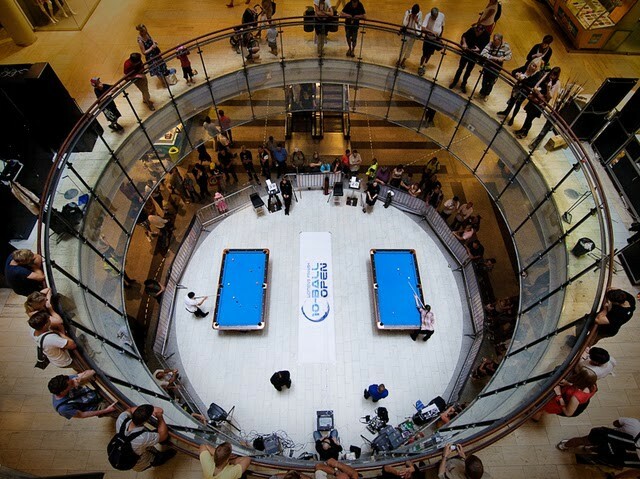 Luckily I had a little time to prepare mentally and I played really well (with a few hickups in between). 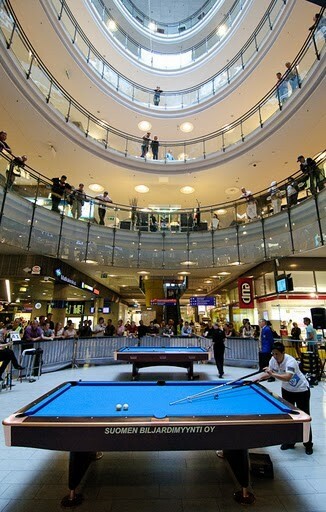 I won 7-4 and was now ready for the semifinals in the Kamppi shopping mall!! I went to the Kamppi at 11 to have plenty of time to warm up. Two tables had been set up for us to play on, and these tables were very different from the ones in BilliardCircus. There was still a lot of work to do and, when I finally came on the table I was told only one rack. That meant the table was still unknown when we started the match, but is was the same for all players. 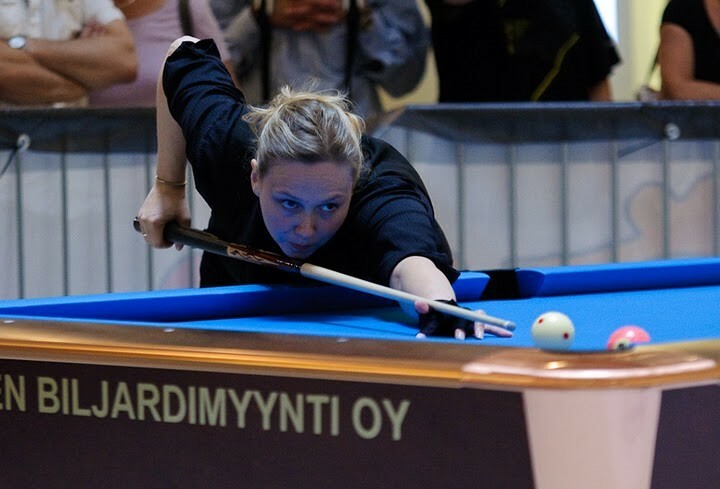 My opponent was local favorite Marika Poikkijoki and I knew this was going to be tough. We have practiced together many times and we are quite even when it comes to win/loss in matchups. 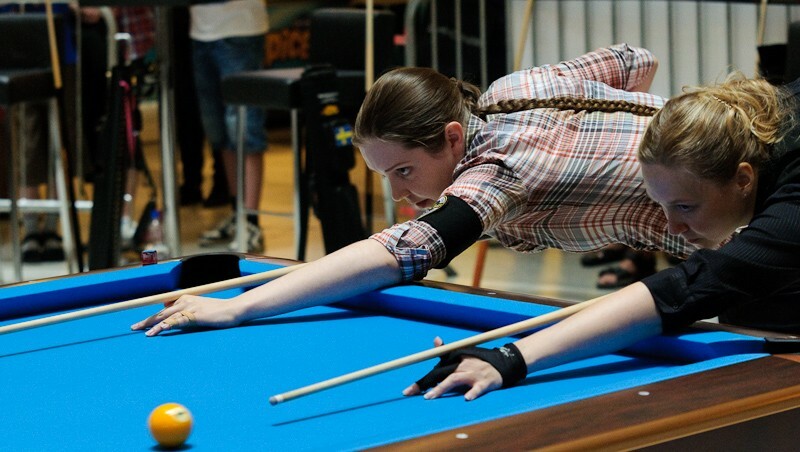 She have had a good year, winning silver in 8-ball in teh EC in Brandenburg, and now she wanted a place in the finals. She won the lag, and made all balls up to the eight which she left hanging in the pocket. I misjudged the speed and got a long stun shot for the nine, which I barely missed. This started Marika and after a little while I was 0-4 down. I managed to pull myself together and had a good 3-10 combo to get to 1-4. This is when you really notice who the crowd is cheering for, I think two people clapped for me:) I was expecting this, but it is still a littel difficult to cope with. Marika won 4-8 in the end, she played really well and I did not. The other Semifinal was between Barbara Bolfelli (ITA) and Caroline Roos (SWE) Barbara was in full control and was up 6-2 at one point. Suddenly it all went wrong and she kept leaving the last few balls to Caroline which did not play well at all in this match. In the end Barbara’s tip fell of and she had to borrow a cue. 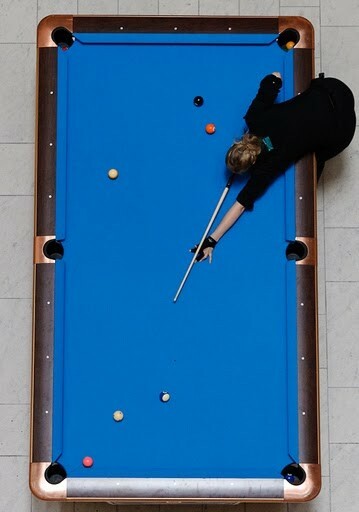 The game was over, Caroline got ball in hand on the nine ball and won the match 8-7. In the final Marika did not get into the game, but Caroline found hers again. She won 8-5 to become the champion! We all had a very good time in FInland and hope to be invited back next year. It is important that we have more tournaments for women and I hope there will be more participants next time. This time we were 25 players and of this 4 from Norway which is quite good. 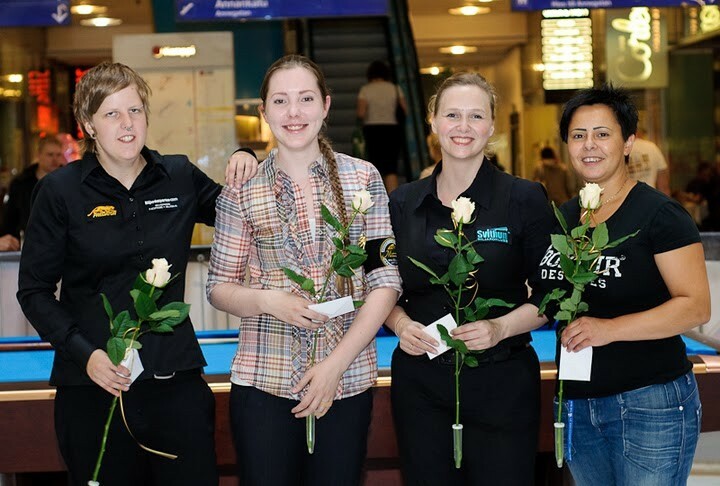 The others from Norway was June Therese Håndstad (knocked out in rr), Tromsø, Martine Christiansen (5th place), Svithun and Connie Kibsgård (9th place), Trondheim. THANK YOU ALL! Special thanks to Tanja Argilander and Marika Poikijokki for organizing and Tommi Lamminaho for hosting the event.